God said it. The Tennessee State Legislature believes it. That settles it. On this day in 1925, a piece of legislation called The Butler Act was signed into law by Tennessee Gov, Austin Peay. This law made it illegal for any teacher in the state to teach the blasphemous theory, espoused by a British ne'er-do-well named Charles Darwin that the human race descended from "lower animals." The Butler Act was what prompted the infamous Scopes trial -- in which high school science teacher John Scopes was convicted of violating the law by teaching forbidden science in his classroom. The law actually stayed on the books until 1967 after another Tennessee teacher was actually fired for violating it. This issue, which remains a real one in some fundamentalist circles, naturally has sparked some songs during the years. The best one was "The Bible's True" by hillbilly music titan Uncle Dave Macon. Here is a more contemporary update of Uncle Dave's song. I'm not even sure who the artist is. 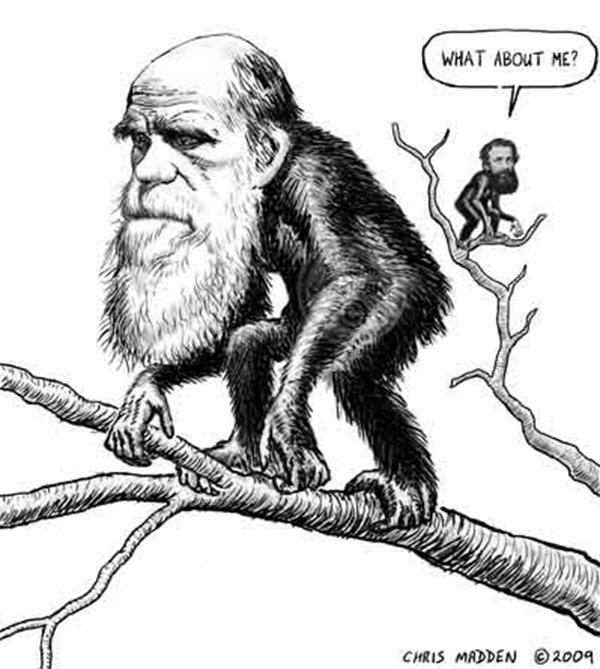 But he's sure that Darwin and his theory is a bunch of bunk and hooey. How could tadpole turn in to a monkey? Louisiana jazzman Clarence Williams had some fun with whole evolution thing with this tune. Western-swing master Milton Brown, country singer Hank Penny, zydeco giant Boozoo Chavis and many others have done versions. Of course, in the late '70s, Devo took the evolution battle to a whole new level, playing with the real possibility that someday, somewhere, people will take their gospel of De-Evolution literally.